Behind the Hatch: A Private Adventure! 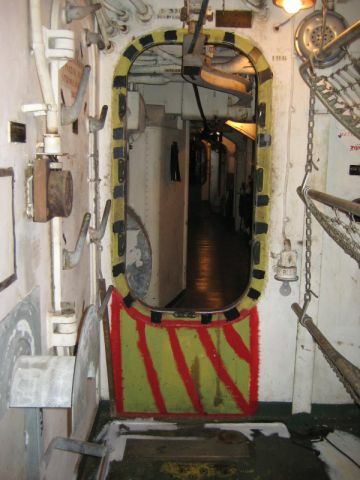 We work with you to design a behind-the-scenes exploration of the Battleship based on your or your group’s interests. Tours may be general or specific. Possible focus area include engineering, gunnery, fire control systems, communications, ship design, damage control and logistics. Program fee is $125 per hour 1 to 8 people; additional participants at $15 per hour. Fee does not include ship admission. Participants must be at least 12 years old. Available October through May and not on Sundays. Reservations required one month in advance and dependent upon staff availability. For information and scheduling contact Museum Services Director Kim Sincox or call 910-399-9113.